This week, Your News to Know brings you the latest stories involving gold and the overall economy. Stories include: Will gold prices keep extending their gains, money managers’ bullish gold positioning hits 2017 high, and what gold’s rally means for you. Will gold prices keep extending their gains? Gold looks ready to post further gains after recently climbing to its one-year high. Multiple analysts expect the metal to continue past the recently-breached $1,350 mark, citing numerous factors as supportive of gold prices. The conflict between the U.S. and North Korea has already played a significant role in gold’s rally, and tensions with Russia promise to keep investors wary of geopolitical risk. 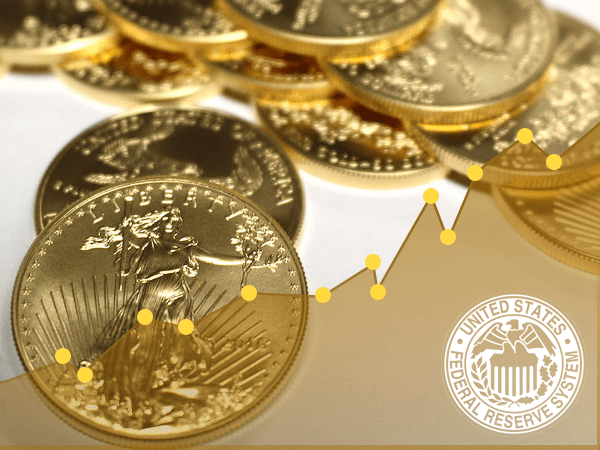 Closer to home, dovish Federal Reserve policy continues to act as a tailwind for gold – with another hike for this year unlikely, gold seems as if it has nowhere to go but up. With so many factors offering support, analysts are predicting a jump from gold’s current price. Iqbal Gandham, UK Managing Director at eToro, lists $1,440 an ounce as a key level, while portfolio manager Mariann Montagne predicts an additional 5% to 10% rise in gold prices this year. According to data compiled by the Commodity Futures Trading Commission, money managers are feeling more bullish on gold, upping their net-long positions significantly over their bearish counterparts. “Gold specs continued to increase net length this week, with long positioning setting a record for 2017 as specs aggressively added longs, which more than offset the modest increase in shorts,” TD Securities said in a note. The firm also acknowledged gold’s strong fundamentals and its potential to move higher given the right incentive. Likewise, traders increased their bullish positions on silver as the metal rose 42.5 cents in the week leading up to September 5, with TD Securities stating that they continue to expect a strong showing from it. Sam Laughlin, senior precious-metals trader with MKS S.A., noted that the figures from CFTC don’t include the peak of the gold rally, and that the real number of bullish positions is likely higher. Gold is on the rise – what does it mean for you? Gold has been the talk of the financial media recently – after breezing past the key support level of $1,300, the metal now looks ready to dazzle investors with further gains. Yet precious metals broker Bill Holter says gold’s latest rally doesn’t just involve regular investors, but also people who are curious about wealth preservation. Talking to KamloopsBCNow, Holter explained why we’re headed towards a monetary reboot that will end with gold standing on top. According to the author and broker, the metal’s rally has been building up for a while, driven largely by out-of-control money printing. This form of currency manipulation is precisely what’s causing gold to shine brighter, says Holter, as people become more aware of the dollar’s waning purchasing power. To Holter, the flight to gold could be interpreted as a flight from fiat currencies, as he views the metal as an insurance policy against systemic errors. Gold’s value could be further highlighted, he adds, should it becomes obvious that supplies of it in the West are dwindling.